Fundamental to a healthy immune system is a combination of a diet rich in vegetables and protein, good digestive health, stress management, exercise, adequate sleep, and good hygiene practices. Excessive sugar intake, snacking between meals, junk food diets, excessive alcohol, and chemicals in food or water are among the most immune-disruptive factors. 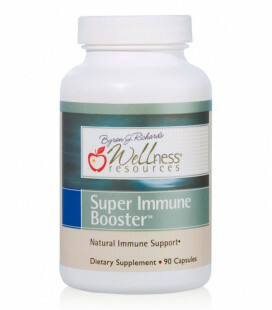 Super Immune Booster provides excellent nutrients to boost the immune system's natural function. It contains colostrum, olive leaf extract, beta glucan, and arabinogalactan. This unique combination of nutrients supports optimal immune cell function in multiple ways. 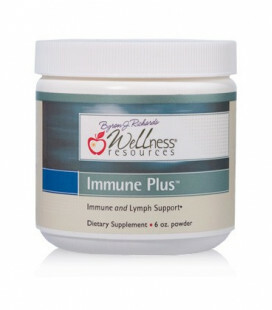 It is our most popular immune supplement and excellent regular immune support for the entire family. * Dose: 1-4 capsules, up to 4 times per day. Key antioxidants for daily immune support. Antioxidants are the foundation for a healthy immune system. The higher your stress level, the more antioxidants you need on a daily basis. Daily Protector supports immunity, eyesight, and skin health. It contains lutein, lycopene, zinc, bilberry, vitamin C, NAC and more. Give your body an antioxidant boost with this daily immune supplement. * Dose: 2-6 capsules per day. Clear congestion and improve lymph circulation. Immune Plus helps improve healthy lymph circulation and reduce excess congestion or pressure in the shoulders, neck, ears, or chest. It contains arabinogalactan, a glyconutrient that naturally supports healthy immune function. It is excellent for both adults and children. The powder option mixes easily in water. Take before going to school or work. * Powder: 1 teaspoon to 1 tablespoon, up to 4 times per day. Capsules: 1-5 capsules, up to 4 times per day. Energize your immune system! Fatigue handicaps your immune system. Activator Plus is the best supplement for immune-related energy support. It contains nutrients that help your body make immune cells and boost energy production. Take daily if you are fatigued, under stress, or feeling worn down. Take two tablets every few hours if desired. * Dose: 1-3 tablets, up to 4 times per day. Support sinus and respiratory health. 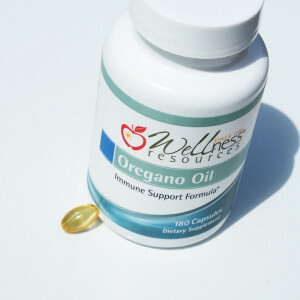 Oregano oil provides natural immune support for the sinuses and respiratory system. We use a very high quality oregano oil that is extracted by steam distillation and provides a high amount of carvacrol, the most beneficial component. Easy-to-swallow capsules. * Dose: 1-4 capsules per day; increase if desired. Reduce congestion; stabilize immune response. Quercetin is a bioflavonoid nutrient that supports healthy immunity during times of stress. It helps clear excess mucous and congestion and is very active in the sinuses, lungs, skin, and digestive tract. It is also helpful for mild allergies and itchy skin. Helps stabilize the immune response. * Dose: 1-6 capsules per day. 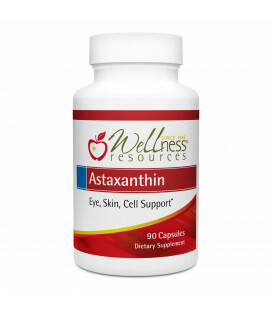 Astaxanthin is a powerful antioxidant that provides a wide range of health benefits, including improved immunity, brain nutrition, stress tolerance, blood sugar metabolism, muscle endurance, skin protection, less eye strain, and better cardiovascular fitness. It has been shown to offset the stress of excess fat and sugar on the immune system, helping to keep the immune system active and energized. * Dose: 1-6 capsules per day. Improve digestive immunity and reduce sugar cravings. Food allergies, sinus infections, and sugar cravings are signs of digestive bacteria imbalance. Stress, antibiotics, poor diet, and alcohol consumption are common issues that lead to this imbalance. Candida Helper™ promotes the natural balance of bacteria within your digestive tract and helps strengthen your first line of immune defense. * Dose: 1-6 capsules per day. High quality mild silver protein. 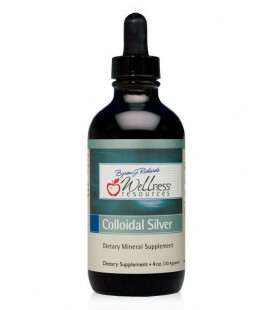 Colloidal Silver is an excellent supplement to have on hand. We use only the finest quality colloidal silver with the potency of 250 ppm, a product we have used for many years with great results. * Dose: Take on an as needed basis. Support respiratory and sinus health. Noni is a highly beneficial Tahitian fruit that has been shown to help respiratory health, sinus health, fungal issues and bowel motility. Noni contains powerful natural immune defense properties. We use a high quality organic freeze-dried noni. * Dose: 1-6 capsules per day.